Look at this little cutie pie!! Poppy Cat has most certainly come a long way, having originated with beautifully illustrated pop up books. You can now follow Poppy Cat’s adventures with the television series on Nick Jr. as well as DVD’s! Now though, your child can watch Poppy Cat alongside cuddling their very own Talking Soft Poppy Cat character. With an RRP of £9.99 from retailers such as John Lewis and Amazon.co.uk to name a few, the Talking Soft Poppy Cat is the perfect accompaniment for any fan. Liv is a huge teddy and soft toy lover, it is hard for her to fit in her bed due to it being almost completely covered in bears of all sizes. I personally found the Poppy Cat toy a perfect size for travelling with as it can easily fit in her back pack and therefore is not a hindrance and does not pose a threat of being lost. Especially now that it has become a favourite hug buddy! Suitable from 10 months plus, simply squeeze the tummy of the Talking Soft Poppy Cat toy to hear 5 fabulous Poppy Cat phrases, in the unmistakable voice of Joanna Page. The toy really is wonderfully soft and cuddly and with Christmas fast approaching is a perfect stocking filler idea. For true Poppy Cat fan’s there is also a larger Taking Poppy Cat plush toy available, five piece figure sets and colouring books. All fantastic for promoting role play! To celebrate the launch of the new Poppy Cat toys and books Joanna Page shall be at the John Lewis Oxford Street store on 1st November 2012 from 11am-12:30pm with Poppy Cat herself. Be part of the action with readings of the new “All Aboard” and “Blast Off” books in the range. Children will be kept busy on the day with colouring in leaflets being given out with Poppy Cat stickers given to each child enjoying the fun. 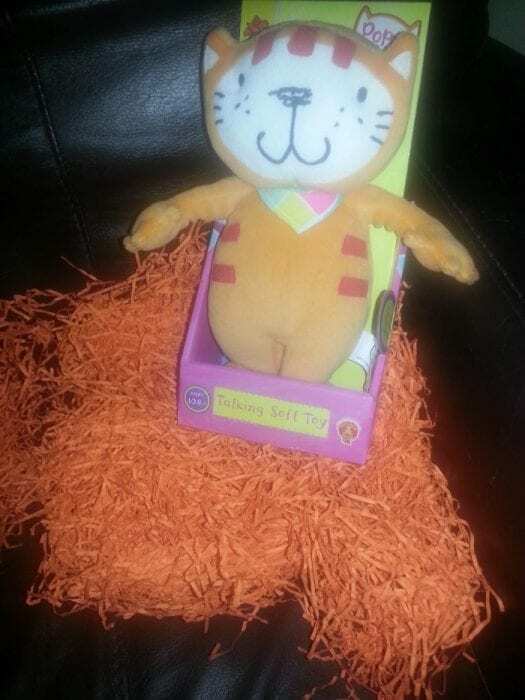 Visitors will also have a chance to win the new large Soft Talking Poppy Cat toy and a copy of the new books. If you do not have the chance to visit the John Lewis event then fear not as Poppy Cat will also be appearing in The Entertainer stores in Westfield Stratford and Bluewater on Saturday October 27th 2012.